KATHMANDU, Dec 6: Lawmakers have sought resignation of Nepal Airlines Corporation (NAC) Managing Director Sugat Ratna Kansakar over alleged irregularities in wide-body jets procurement. After finding Kansakar’s clarification on aircraft procurement unclear, members of the Public Accounts Committee (PAC) asked Kansakar to step down on moral grounds. “Kansakar should resign on moral grounds as he couldn’t answer questions raised by PAC members,” Bishal Bhattarai, a Nepal Communist Party (NCP) lawmaker, said. PAC started discussion on procurement of wide-body jets three weeks ago amid media allegations that procurement norms were violated in the procurement process. Another lawmaker Prem Ale echoed Bhattarai. “Kansakar avoided questions raised in the report of Office of the Auditor General (OAG) regarding aircraft procurement process. It proves that he is guilty in this case,” Ale argued. In its 55th Annual Report unveiled in April, OAG stated that it found irregularities in the aircraft procurement process. “NAC has used an agent or a mediator to purchase two wide-body aircraft. It chose to go for global tender instead of seeking bids from the aircraft manufacturing company itself,” the OAG said in the report. Kansakar was present in the meeting on Wednesday. But he was not given time to speak. Speaking at the meeting, Minister for Culture, Tourism and Civil Aviation Rabindra Adhikari urged the PAC to launch detailed investigation into wide-body procurement. 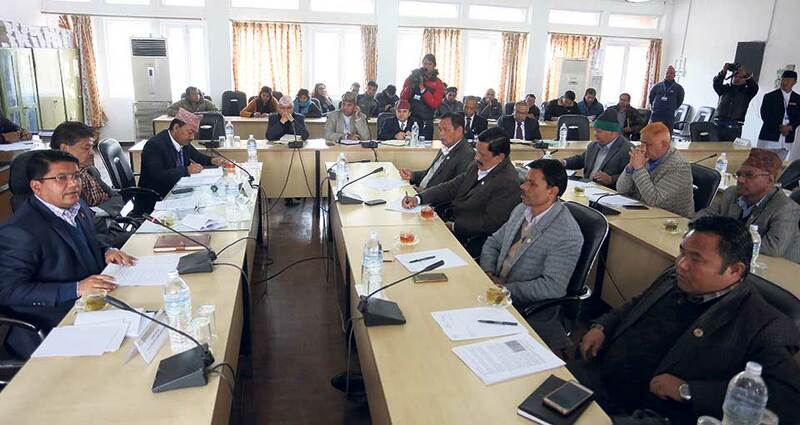 This is the first time that Minister Adhikari attended the PAC meeting after the parliamentary panel started discussion on procurement of two wide-body jets worth Rs 25 billion. The PAC members have been asking authorities to answer questions related to the procurement process. 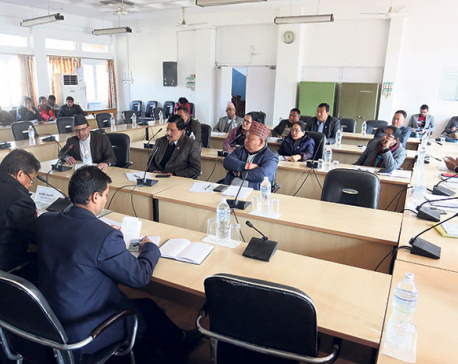 “Probe panel formed by the ministry to look into irregularities in the procurement process has already submitted its report,” Minister Adhikari said, adding that the ministry was studying the report. “We have taken the issue (aircraft procurement) seriously. Earlier, tourism ministry officials were saying that the NAC had followed all government laws, rules and regulations while buying the aircraft. PAC members also asked Minister Adhikari to explain why the European Union has banned Nepali airlines from flying into its airspace. In reply, Minister Adhikari said there was no reason to keep Nepali airlines in blacklist as International Civil Aviation Organization (ICAO) has already removed Nepal from its Significant Safety Concern (SSC) list. “We are making diplomatic efforts to remove Nepal from the blacklist. Hopefully, Nepal will be off the list by March next year,” he added. Minister Adhikari also said that the ministry was discussing the questions raised in the OAG report seriously. Likewise, he requested the parliamentary panel not to have doubts over the ownership of the wide-body jets. “NAC is the rightful owner of the two planes,” he maintained. 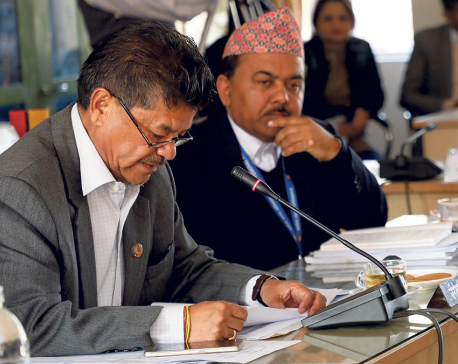 The International Relations Committee (IRC) of parliament has reshuffled a sub-committee formed to look into alleged irregularities in procurement of two wide-body aircraft by Nepal Airlines Corporation (NAC), 12 days after its formation. The sub-committee is now chaired by Dipak Prakash Bhatta while Divyamani Raj Bhandari, Renuka Gurung, Saral Kumari Yadav and Sudan Kirati are the members. The sub-committee has been given a month to submit its report. Similarly, the committee has formed another sub-committee to study issues related to Taragaun Development Committee. The sub-committee chaired by Agni Prasad Sapkota has Narad Muni Rana, Pushpa Bhushal, Prem Prasad Tulachan and Sanu Siba as members. It has also been given a month to submit its report. 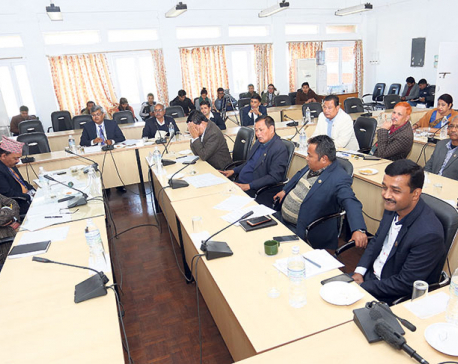 Earlier on November 23, the committee had held discussion on three agendas -- wide-body aircraft procurement process, issues related to Taragaun Development Committee, and Visit Nepal Year 2020. Chairman of Taragaun Development Committee, CEO of Nepal Tourism Board and tourism minister along with tourism secretary had attended the meeting.